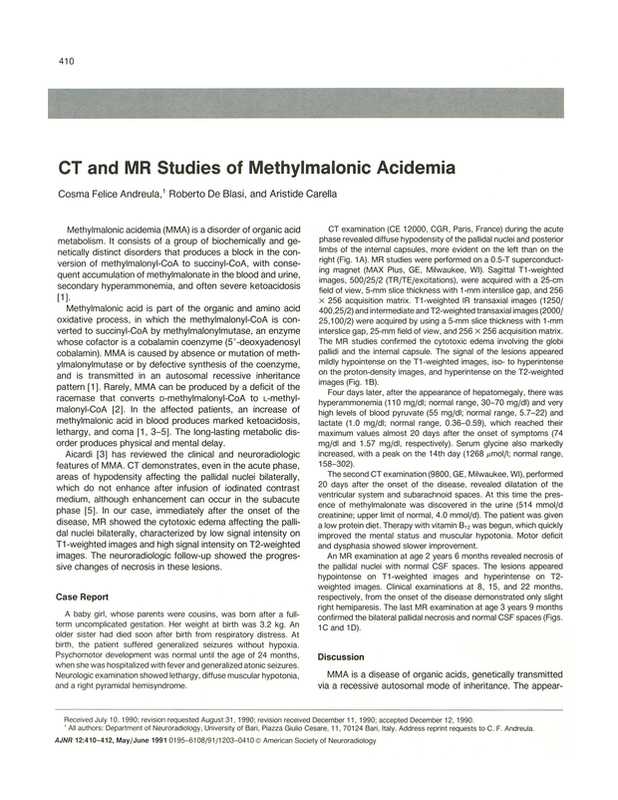 CT and MR studies of methylmalonic acidemia. Department of Neuroadiology, University of Bari, Italy. You are going to email the following CT and MR studies of methylmalonic acidemia.